Last week I watched an inspiring documentary about Jiro Ono, an 85-year-old sushi chef who owns a sushi restaurant in Tokyo subway station. His restaurant seats 10 people and if you need the bathroom, you have to go outside to use the subway facilities. Behind these facts is something very special about Jiro and his outlook on work. It isn’t by chance that he has become the best in the world at what he does. Although not specific to search marketing, there are some interesting parallels that can be learned from the grand sushi master himself. Jiro never complained about his job, never took vacation, and never once thought of retiring. He couldn’t think of anything worse. 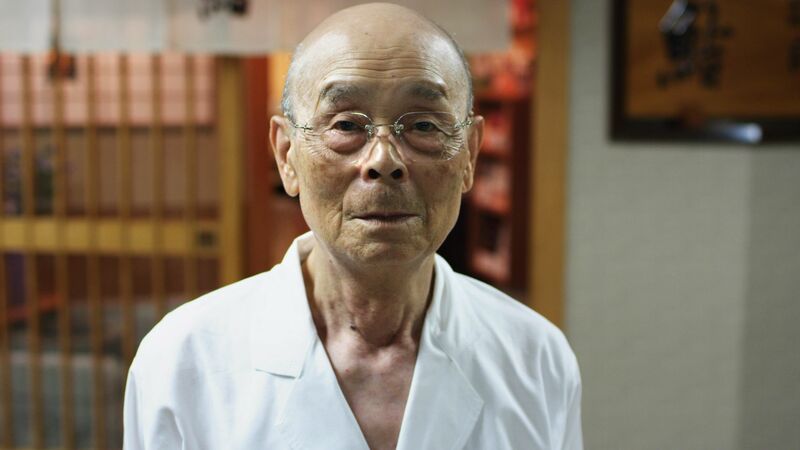 Jiro literally dedicated his life to the art of sushi making because it made him happy. Sounds simple to love what you do, and immerse yourself in it in order to get better. The difficult part is finding what it is that you love to do to begin with. Search marketing is easy to love because it’s intriguing and constantly changing. What I quickly found out is that in this space, you can’t learn all that you need to know between the hours of nine to five. You really have to live, breathe (and dream) search if you want to be anywhere close to good. Perfection is the mark of an excellent chef, but according to Jiro, “Even at my age, in my work… I haven’t reached perfection.” – this coming from someone who has been making sushi for over 70 years. I guess to be the best at what you do (be it sushi or search) you must deliver consistently, continuously seek knowledge, pay attention to the details, and accept no compromise. A leading Japanese food critic said that the job of a leader is to set clear expectations for others to achieve, not to be a collaborator or team member. This was Jiro’s approach and was the reason why he got excellent results. This is an interesting take on leadership. Whilst this view may not work in all circumstances, what I do think is important is to challenge the norm and stand by your beliefs. This is particularly true in search marketing because if you want to stay ahead of the game, you have to find ways to go beyond the standard optimizations that everyone else is following. Jiro believed that to excel at what you do, you must experience it for yourself. These are wise words for sure. Unfortunately, in the area of search marketing, there are many people who think that just because they “eat delicious food”, they can make delicious food. Worse still are the people who eat crap food, think it’s delicious, and consequently think they can make delicious food. Still with me? Frustrating, yes. But just like web design and social media marketing, it’s one of those things that you learn to deal with in the search marketing field. When Jiro was nine, he was told not to come home. From that moment, he was out on his own and failure was not an option. Jiro believed that more people today need to have a “There is no home” mentality. Anything else just encourages failure. When going after search results, you have to go all out. You’re not just looking at position in the SERP, but also how that position is contributing towards actual business results – be it traffic, leads, orders, or otherwise. I doubt that Jiro knows, nor cares much, about search engines or search marketing. He’s too busy making the best damn sushi to blow people’s minds. But his story is truly an inspiring one, with many parallels that can be drawn not just within search, but in many aspects of work and life.